We've posted a video with the developers at Epic explaining their new game Fortnite, but we wanted to share our own hands-on impressions as well. Game Informer's editor-in-chief Andy McNamara, Dan Ryckert, and Jeff Marchiafava have played a lot of the game and were eager to talk about it. [Excerpt] From the Fortnite's unique approach to a campaign to how Epic is approaching free-to-play, they cover a lot of ground in the video discussion. To learn much more about the specifics of Fortnite, be sure to read our full cover story. 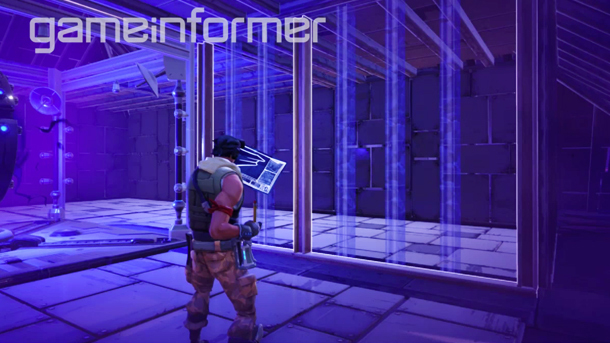 Watch the video below to see a ton of Fortnite gameplay and hear three Game Informer editors' thoughts on the next ambitious game from Epic Games.